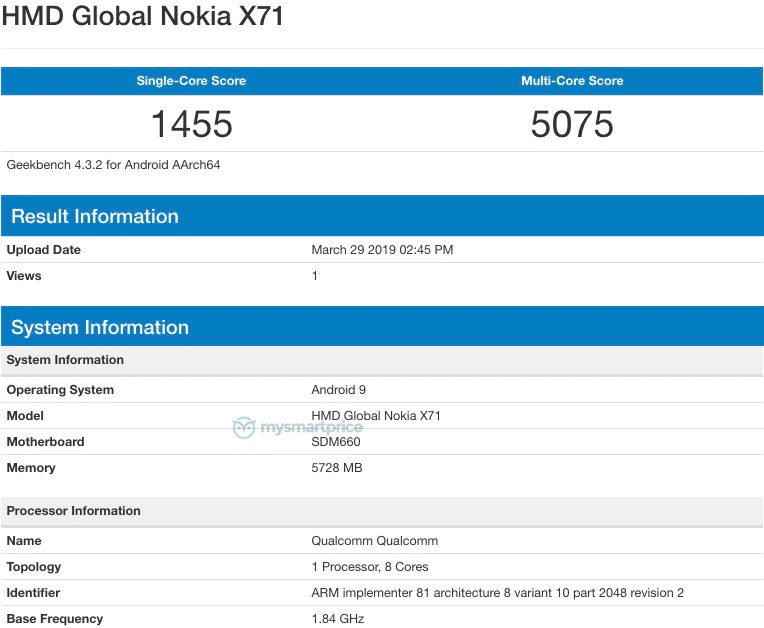 MySmartPrice.com found a Geekbench entry related to the Nokia X71, that should be announced on 2nd April, according to info from China. The X71, or Nokia 6.2, features Snapdragon 660 as the SoC and 6GB of RAM, as well as Android 9 Pie. If the rumors turn out to be true, and Nokia X71 really exists and will be announced globally as 6.2, featuring Snapdragon 660, hole-punch display, 48MP camera sensor, ultra wide-angle camera and price point in line with the 6-Series of devices, this might be a very interesting phone, to put it mildly.